Be a Healcrest Urban Farm Fan and Get Market Day Text Reminders! You will get market day reminders from us on your mobile phone. Checkins at market can also equal rewards from Healcrest Urban Farm (like ice pops!) You can unsubscribe from these messages at any time and we will never share your information with anyone. Sign Up Here On Farm Fan! 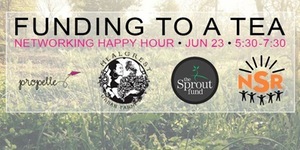 Funding To A Tea: A Networking Happy Hour Event with Healcrest Urban Farm, The Sprout Fund, and New Sun Rising. LET’S HAVE FUN ON THE FARM! Propelle is teaming up with Healcrest Urban Farm, The Sprout Fund, and New Sun Rising to throw an early-summer garden party for women entrepreneurs! Funding opportunities and options in PIttsburgh. What funders are specifically looking for. What will set your funding application apart from the crowd. What Maria and Dana have learned from 5+ years of working with funders. There will also be funding information on hand from New Sun Rising. Get your tickets today and invite your favorite woman entrepreneurs (and future entrepreneurs) to join you for a very special and informative evening. This event is 21+ only. Everything’s coming together. The Bottom tank will hold the fish, while the Top shelf will house delicious delicate herbs. Savi says this is what the fish will do if you put your hand in the tank. We’re Headed to the Annual PASA Conference! This weekend the women of Healcrest are headed to State College for the 24th Annual PASA Conference! PASA is the Pennsylvania Association for Sustainable Agriculture. If you want to know something about sustainable agriculture in Pennsylvania, they are your people! The Farming for the Future Conference is a wonderful gathering of farmers, farming advocates, lobbyists, and generally interested parties. As usual there are wonderful, inspiring keynote speakers. This year I am very excited to hear Frances Moore Lappe speak. She is the author of Diet for a Small Planet among other books examining and discussing our food system. We have participated in the conference before but this will be the first year that Healcrest as gone as vendors as well. This year we are taking our delicious Tea, Tisane, and Herbal Ice-Pops to share with conference participants. This event is so inspiring and a great place to connect with others of like minds. If you’ve never gone to this conference but you love sustainable agriculture I encourage you to go some time.The weekend is full of wonderful workshops from soil health to law & policy; from cover-cropping to creating an urban buying club. There is something for everyone at this conference! We are looking forward to it and I know we will come back with wonderful things to share and grow from! On September 7th 2014 at Healcrest Urban Farm located in Garfield, Blue Collar will host its first ever participatory dinner in Pittsburgh. The idea is simple. An all volunteer driven dinner to raise funds for groups trying to further the values of independence and hard work held so dearly by the denizens of our magnificent city. The dinner will be a three course dinner with drinks provided. Each guest will be provided 4 tokens representing 25% of their total donation. During the ev ent each group will give an in depth performance showcasing their mission in Pittsburgh. At the end of the dinner the guests will give their tokens to the groups that they value the most. The chef for this particular dinner is chef de cuisine Curtis gamble of grit and grace and former executive chef at bread and wine in Chicago IL..
HEALCREST URBAN FARM – Healcrest Urban Farm is a women-owned urban farm and social enterprise business. Through nurturing abandoned urban land we empower all people to reclaim, restore and sustain our collective knowledge and health. We grow culinary and medicinal herbs, creating an oasis of wild and cultivated plants, using our platform in the community to offer education on food, health, and healing. We hand blend our herbs with local seasonal fruit creating supportive tea blends and delicious ice pops that we call Tea Pops, a vehicle to open everyone to the power of herbal medicine. Healcrest is a place of healing- both the land and ourselves. GIRLS ROCK PGH -Girls rock pgh -Girls Rock! Pittsburgh is an empowerment program for female youths of all definitions, abilities and backgrounds. Girls Rock! Pittsburgh utilizes the process of making music to instill tools for amplifying self-confidence, creative expression, independent thinking, mutual respect and cooperation, while cultivating a supportive and inclusive community of peers and mentors. Girls Rock! Pittsburgh is committed to community awareness and social agency, fostering a network of role models for the endeavors of girls and women that promote social change amongst its diverse participants. Girls can play any kind of music they want. Creative voices of girls and women need to be amplified to create social change. Girls need positive role models and support for their creative endeavors. We can build a community where girls support each other rather than tear each other down. We can empower girls to recognize, understand, and respond to discrimination. “Girls Rock” is more than just a slogan. HOMESTEAD BOYS CHOIR – AAMI Boys’ Choir, a positive community-based alternative, enables its members to experience the richness and excitement of creative expression. The benefits gained by the youth are discipline, confidence, motivation and the continual building of their self-esteem. Additionally, the choir prepares members to be productive individuals allowing them to believe in themselves and their potential. They learn the value of friendship and the importance of respecting self and others. Founded in 1986, Just Harvest works in Allegheny County to change the unjust public policies that create hunger and poverty. Just Harvest is a membership-based non-profit organization that is mobilizing our community, connecting people to public benefits, and advocating for a stronger anti-poverty safety net, with the aim of economic justice for all. We’re Headed to the Regatta at Lake Arthur this Weekend! We have a very busy weekend ahead and we are excited to see all of you at one or more of our five events! Maria, Savi, Justice, and Suzy along are traveling North for the Annual Regatta at Lake Arthur. We were invited to join this event as a first time vendor in their Natural Vendor’s Village and we are excited to try a new market in a beautiful setting! Read More Here. Friday night Dana will be enjoying herself as usual and serving TeaPops and Tea at the First Friday Garfield Night Market. Always a great time full of delicious food, local arts, and good company as always with your friendly local neighborhood vendors. On Saturday visit Meg in the Strip District at another exciting new market, Farmers at the Firehouse. We love our weekly farmers markets, where our resident farmers get to talk with patrons, and where we bring out some of our other products and service. Keep an eye out for bouquets, herb bundles, apothecary items, classes at the farm, and sign ups for our Fall/Winter herbal CSA! Also on Saturday you can find Michelle holding it down at the Bloomfield Saturday Farmers Market. Stroll along the market this week and enjoy live music with BeLove, food and wellness demos, and always delicious food. Come to the Healcrest PopUp for Hot & Iced Tea, TeaPops, and check out Cutting Root Apothecary products. Talk to Michelle about all the wonderful benefits of herbal wellness support. 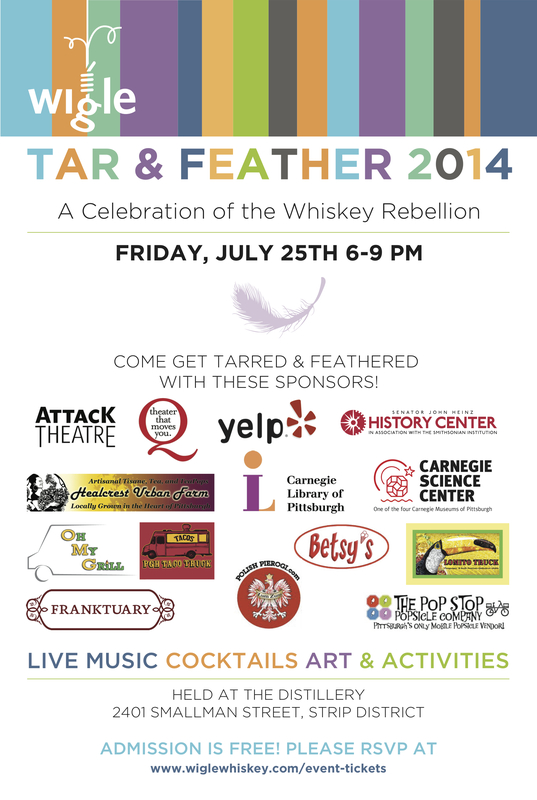 Come to Wigle Whiskey Distillery this Friday – July 25, 2014! Dear Fans of Healcrest Urban Farm! This year has been an amazing year for local, healthy food and urban farming! Maybe you have seen the buzz on our TeaPops in Pittsburgh Magazine here & here or seen us out in the Pittsburgh region and tried one of our sophisticated artisanal TeaPops at these amazing spaces! As you may know, the TeaPops have led us into a fast-paced start-up phase as a local, natural food producer and social enterprise. This also means we must grow with the demand of our buzz and this is what we are doing! In March this year we successfully funded a KivaZip crowd-sourced loan in 2 days flat! Our supporters are amazing. As we continue to raise startup money to expand and speed-up our TeaPop and boxed tea production – we ask you, our friends, colleagues and family to join us as contributors! The money we raise will help get us into our own commercial kitchen space and increase productivity through high-tech ice pop equipment purchases. With startup support through Idea Foundry, our growth is being supported, tracked and led by an experienced team! If you did not get a chance to contribute to us through Kiva, now is your chance to focus your contribution to Healcrest through a Pittsburgh-based crowd-sourced platform called Hatch! What is great about Hatch is that it supports amazing local businesses like us and it functions similar to Kickstarter, where you get swag for your contribution! Our campaign just opened today, and we are inviting friends and family to join us now as a private, even anonymous, contributor to Healcrest Urban Farm! 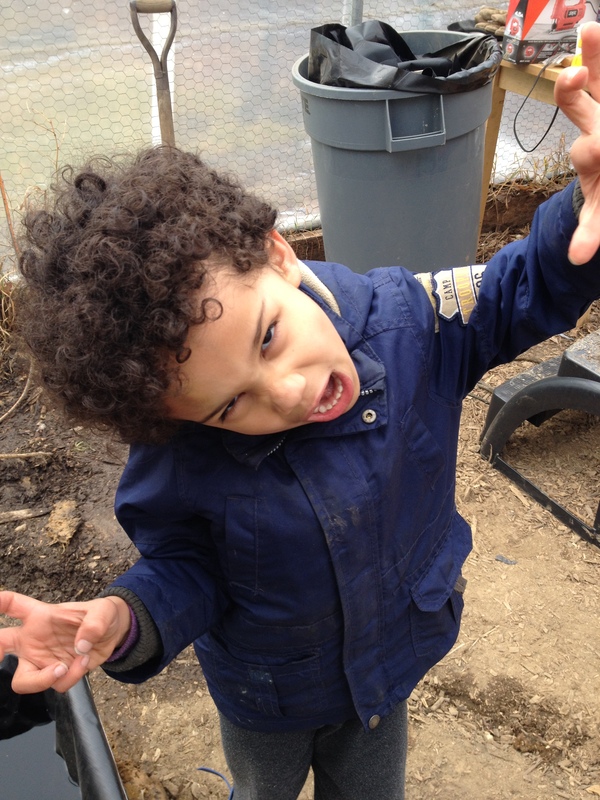 You can contribute funds – as little as $5 – and you get in return some serious Healcrest Urban Farm swag, including a TeaPop punch card, dry-ice TeaPop shipments and a Healcrest Urban Farm TShirt depending the level of giving! The Team of Healcrest Urban Farm! We’ll Be Joining Farmers @ the Firehouse this Saturday! The ladies of Healcrest are excited to bring you delicious Summer refreshment at a new market this weekend! We are so fortunate and grateful to have wonderful new market opportunities. Visit Maria at Farmers @ the Firehouse for Iced Tea, TeaPops, Loose Tea, and other amazing herbal edibles. Our flavors this week are Blueberry Lemon Balm, Roasted Peach Basil, Fresh Apple Mint, and Cucumber Surprise. We are excited to see you this Saturday in the Strip at “Pittsburgh’s first & largest mostly organic or Certified Naturally grown farmers’ market.” Read more about Farmers @ the Firehouse. Voted Best Farmers’ Market in Pittsburgh, Edible Allegheny 2010; 100 Best Things About Pittsburgh, Pittsburgh Magazine; Best Farmers’ Market, City Paper Staff Picks. SUMMER HAS ARRIVED AND IT IS HOT! So to refresh and recharge you we have Savory Strawberry Creamsicle; Cucumber Lime Mint, and returning champs Chocolate Lavender, & Fresh Apple Mint. In addition we are bringing freshly brewed Iced Tea by the cup. Try our original Tea Blends like Goddess Blend or Everyday Tea. We look forward to hosting you for volunteer days, tours, and classes. And we are always happy to see you at market.